Many of you know that I've been giving VIP Art Deco Walking Tours for a while. It's a great part-time job that gets me away from my computer when I'm in a writing frenzy. It all started when I decided that I was going to have my main character from my screenplay Killer Smile have the job of being an Art Deco tour guide. So in the research, I trained to be a tour guide and liked it so much I took a position with the company. 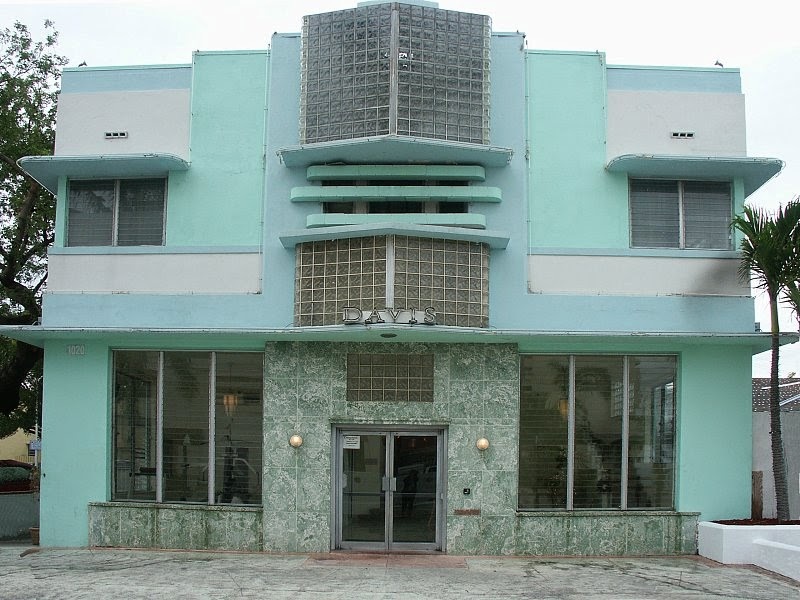 My love for Art Deco has grown since I've been giving tours and I keep researching Art Deco and Miami Beach history. The tours I now do start at the Astor Hotel and go in and out of several buildings and up on rooftops including: the Davis Hotel, the Wolfsonian FIU Museum, the Kent Hotel, the Dream Hotel, the Essex Hotel, Casa Casuarina, the Victor Hotel, and the Tides Hotel. 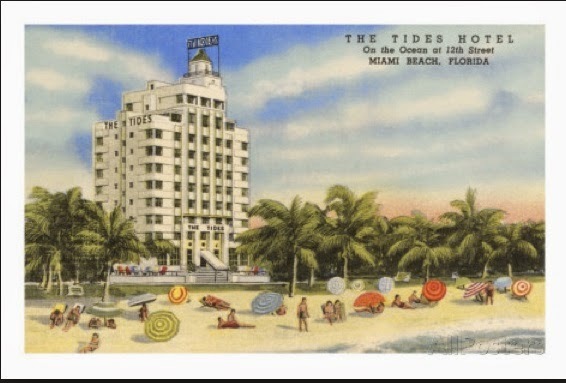 I share the history of Miami and Miami Beach, the story of how Miami Beach was created and follow Miami Beach's growth and decline through the years from Prohibition to the "Miami Vice" era. The tour exposes some of the illicit sides of Miami like the Cocaine Cowboys and the illegal gambling and visitors get to see a few of the formerly hidden little gambling casinos. Now I'm working on writing a script for a new Lincoln Road tour which will start at the Albion Hotel and end at the Banana Republic Store, formerly the Chase Federal Bank built in 1947. Most of Lincoln Road is comprised of great Art Deco buildings and most people don't notice them. All you have to do is look up. At one time Lincoln Road was considered the Fifth Avenue of the south and boasted 4 furriers, 6 car dealerships, a Saks Fifth Avenue, a Bonwit Teller and a Harry Winston jewelers. It also was the location of at least 6 movie theaters and hosted many premieres. 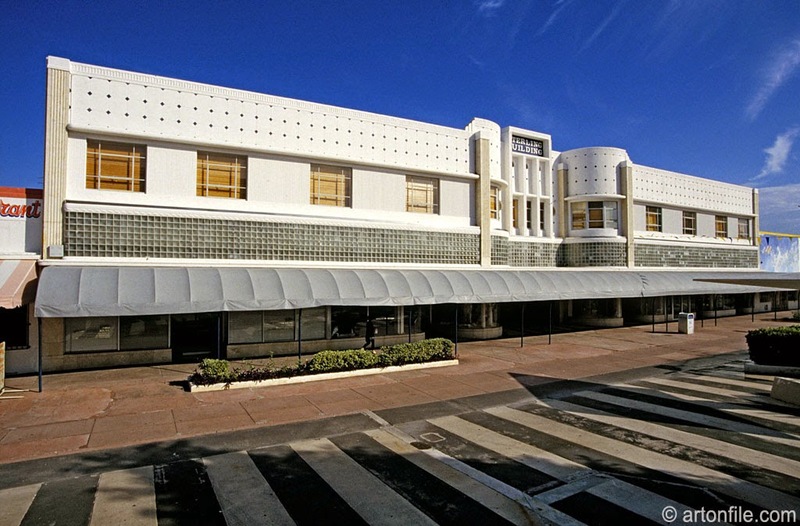 If anyone of you have any great Lincoln Road stories (preferably about some of the Deco buildings) please share them. And do contact me if you're interested in taking the tours. You are following your passion and that's what makes life fulfilled and worth living. Good for you!